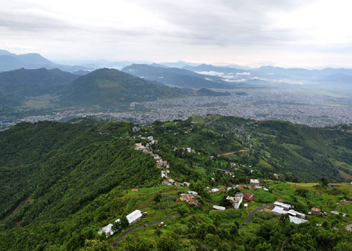 Chandragiri to Kulekhani hike is one of the best hiking routes which offers breath taking views of Kathmandu Valley and it gives trekker an opportunity to explore the magnificent flora and fauna along with spectacular beauty of the mountains such as Annapurna and Mount Everest. Arrival at Tribhuvan International Airport at Kathmandu and meet, assist and transfer to the hotel by our representative. Welcome drinks on arrival and briefing of tour program by one of the representative from Aarya Village Travel. After breakfast drive to Chandragiri cable car station. We will head towards Chandragiri hills by cable car. 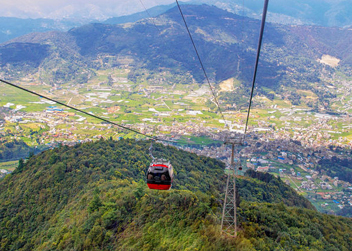 From the cable car, we can view the lush sub-tropical forest with varities of flora and fauna along with the settlement of the Kathmandu valley in this 10-minute tour. We trek downhill towards Chitlang. It takes about 2 hours to reach there. 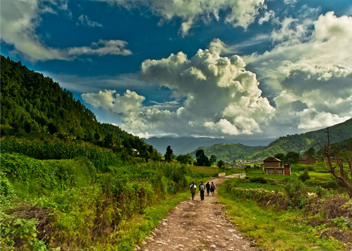 Chitlang is a small paradise about 22 km south of Kathmandu Valley. It is an ancient village which offers ancient temples, artistically made rest houses and traditional stone taps. You can indeed receive an exhilarating fun during the trek to Chitlang by visiting the historical sites such as Pauwa, Saat Dhara (seven water taps), Shiwalaya, and some other archeological monuments. Overnight at homestay. Today, after breakfast we continue our hike to Indrasarobar at Kulekhani via Markhu village. The trail takes us through lush green vegetation and pagoda styled houses of the village. We can see the rural villagers working in the fields. This gives us an opportunity to explore how rural people survive in Nepal. After about one and half hour's hike we reach Kulekhani. 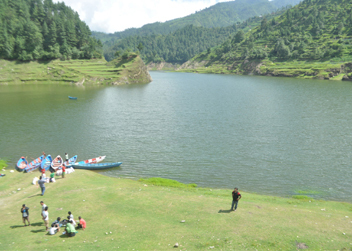 Khulekhani has the biggest artificial Lake (dam) in Nepal constructed to generate hydro-electricity. The lake is called Indrasarobar. We can enjoy boating in the lake. Then we climb up until another small village on the top hills. During the climbing up hill you will get the chances to see high snowy mountains, beautiful villages, amazing landscape. Overnight at Everest Panorama Resort. Early morning sunrise view from view tour of resort. After breakfast, drive to Kathmandu for around 3 hours (depends on traffic). Rest of the day free on your own. After Breakfast drive for the village exploration tour in Kathmandu. 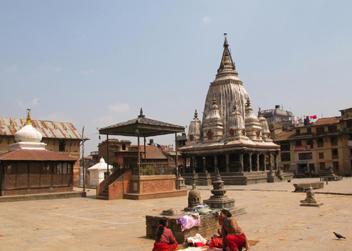 Visit Kritipur: the sleepy town of Kritipur has a wonderful sense of faded grandeur, impressive medieval temples dotted around its backstreets. Later visit Bungamati and Khokana. Bungamati is another medieval sleepy little village with a beautiful temple in the village square and medieval houses hanging onions and red chilies from their windows and Khokana village dates back from the medieval age, and the village has been nominated to be listed as a World Heritage Site, with its mustard-oil seed industrial heritage. 3. All entrance fees during sightseeing which is approx.